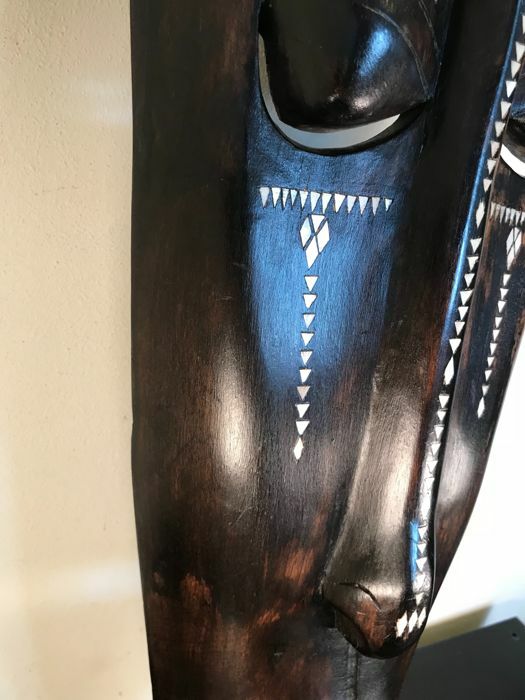 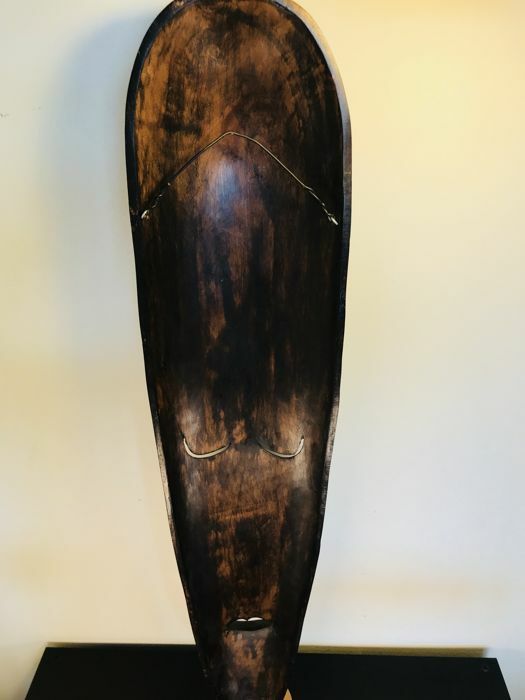 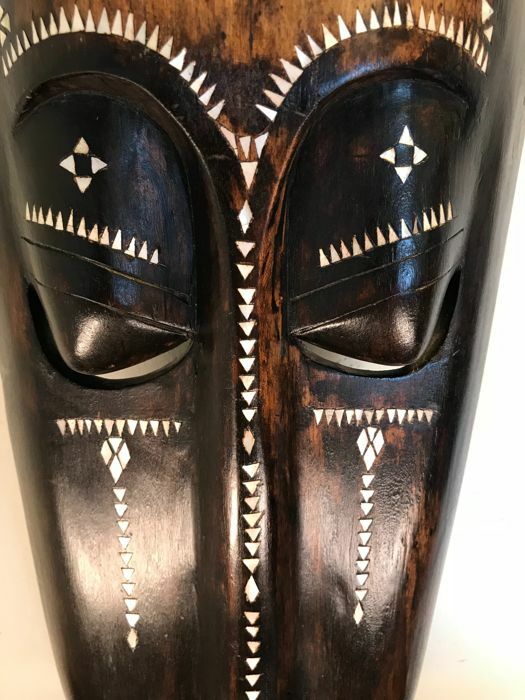 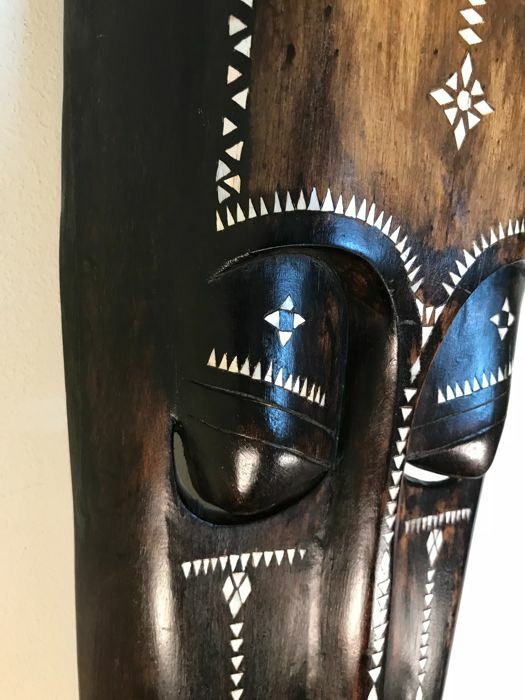 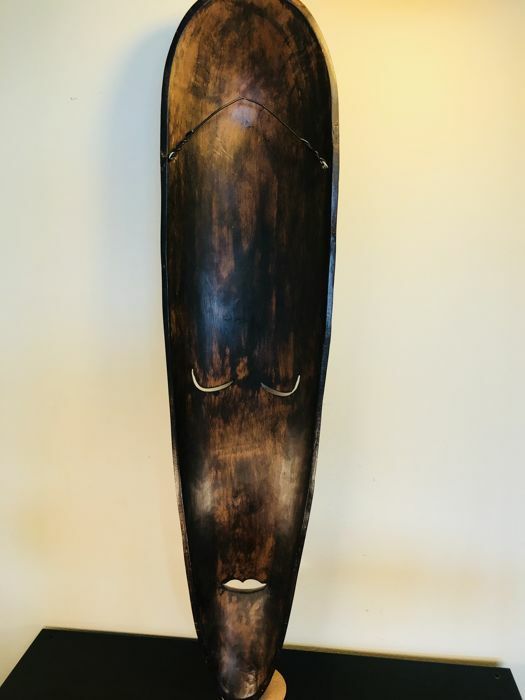 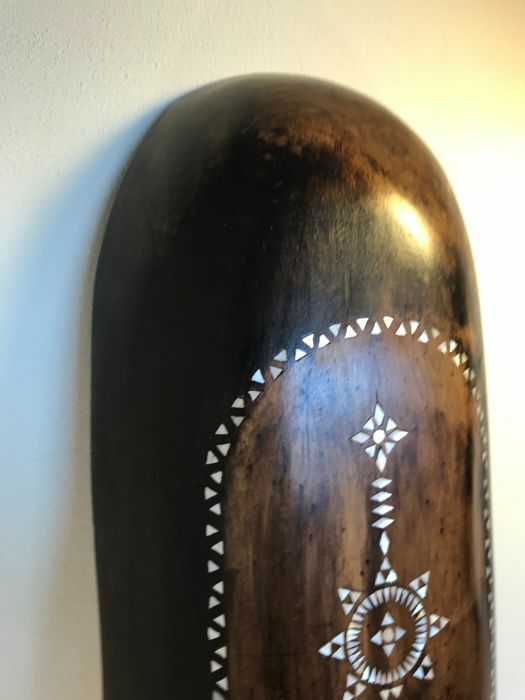 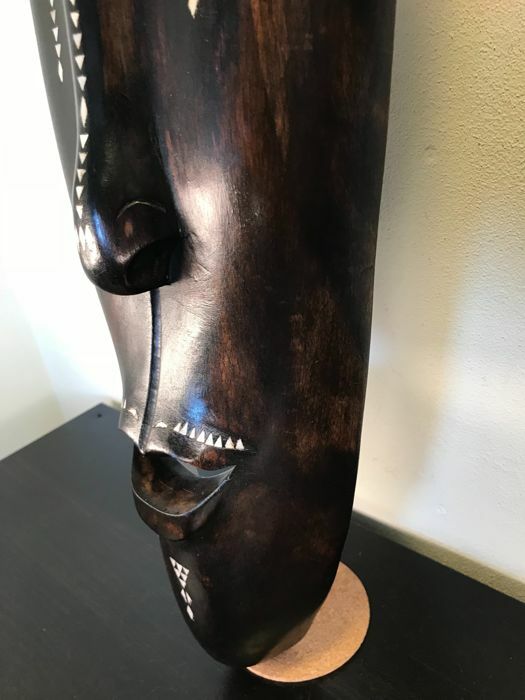 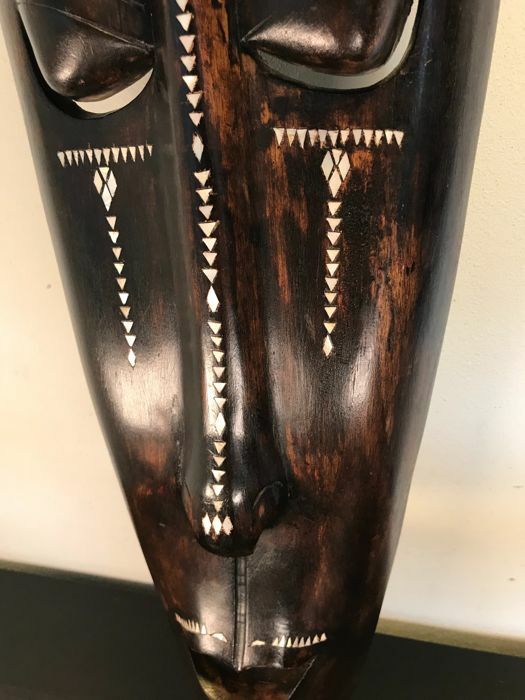 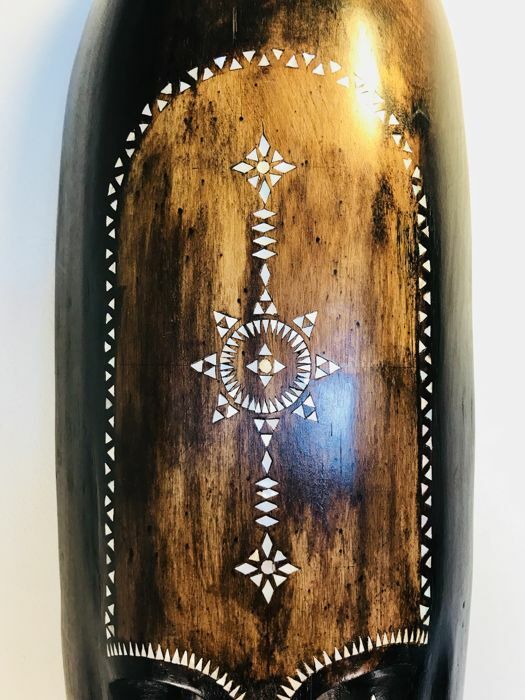 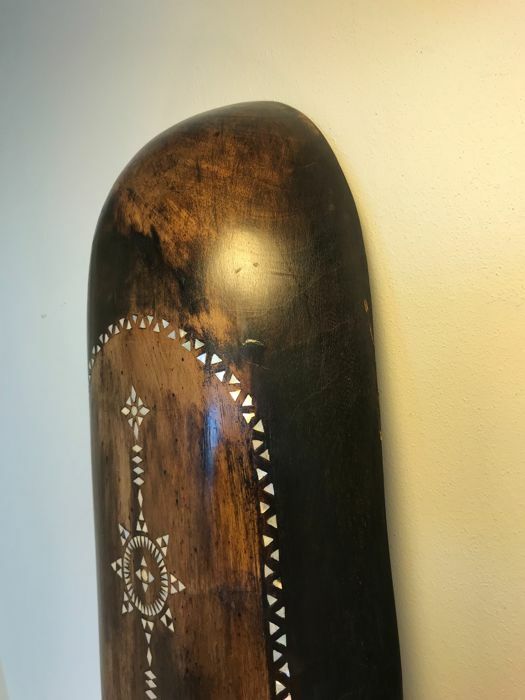 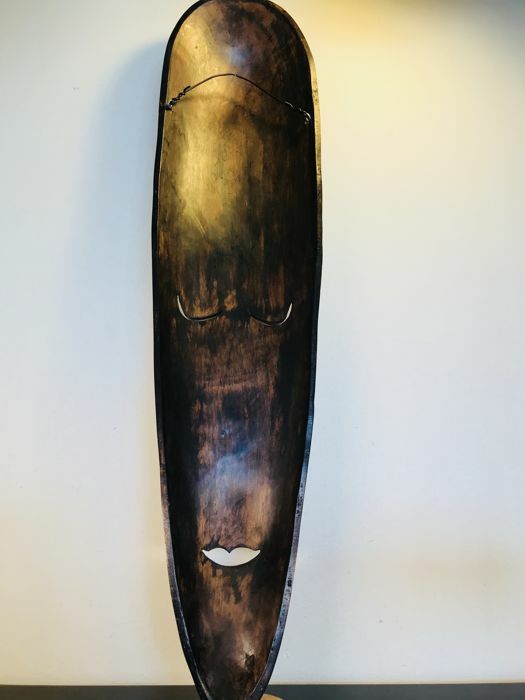 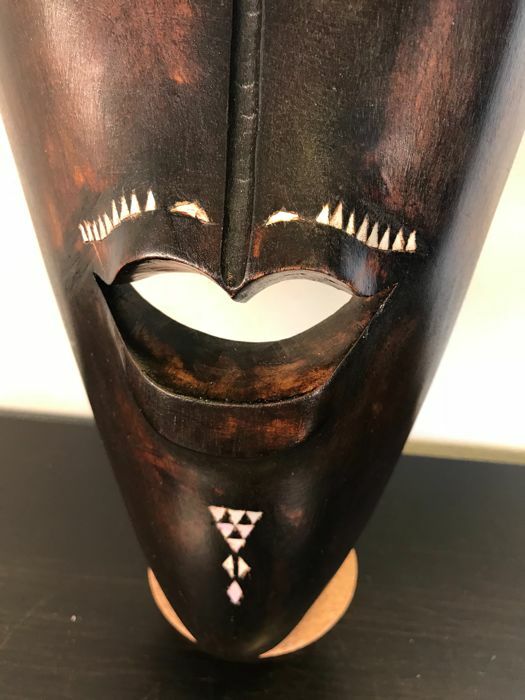 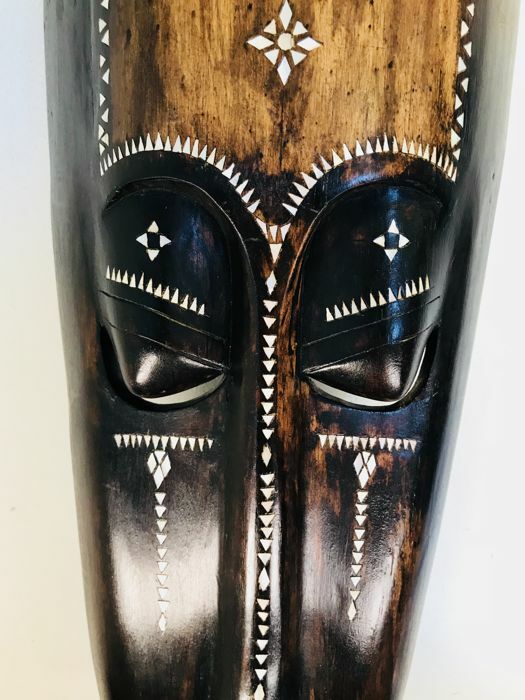 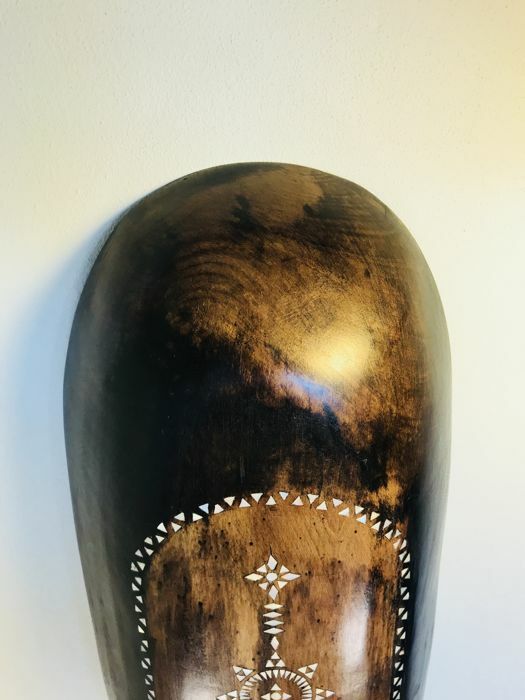 Exclusive large African wooden mask inlaid with mother of pearl. 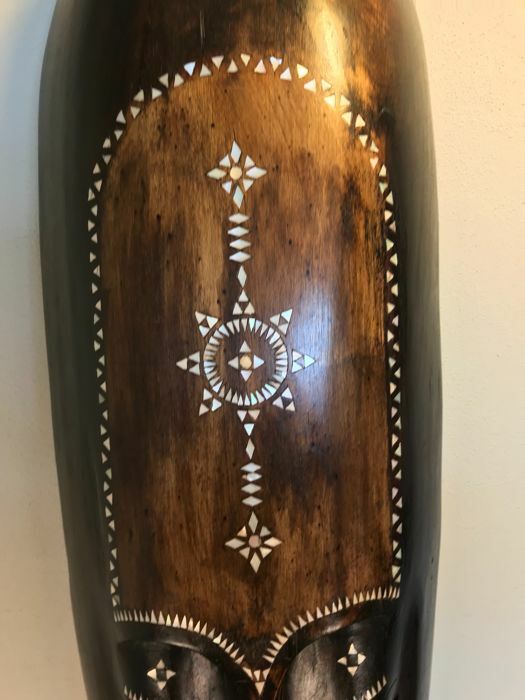 It is made from different kinds of wood with beautiful decoration and markings. 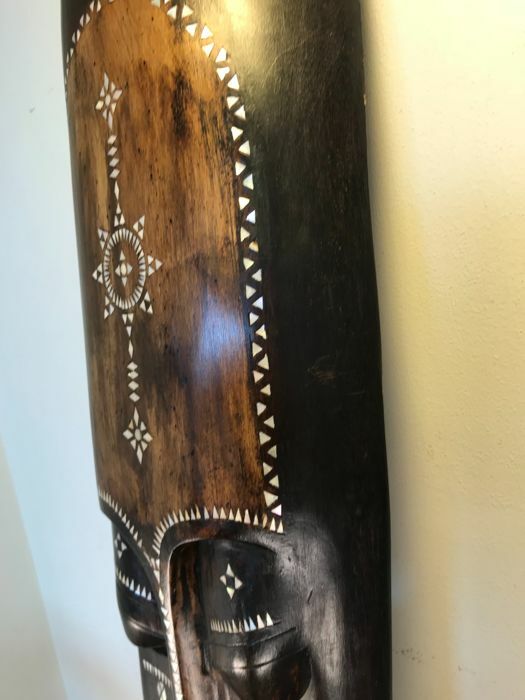 In very good and undamaged condition. 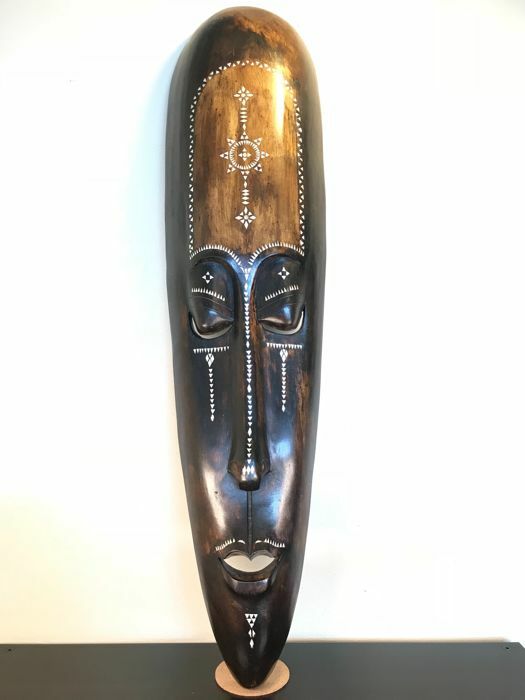 100 cm x 24 cm x 7 cm. 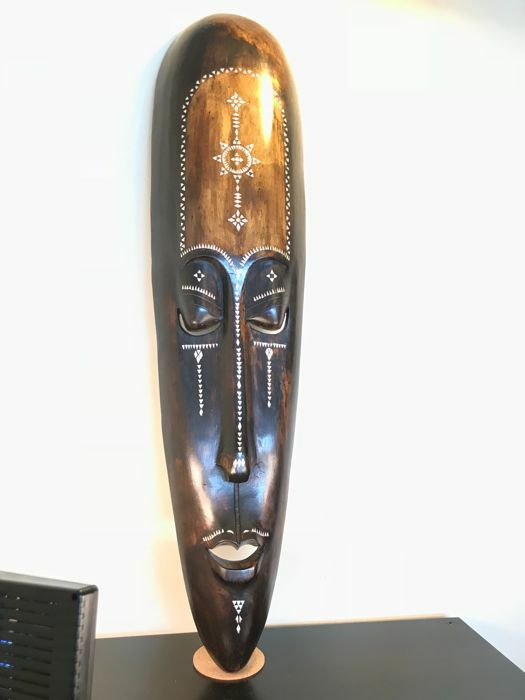 An asset for any collector or just very beautiful as decoration. 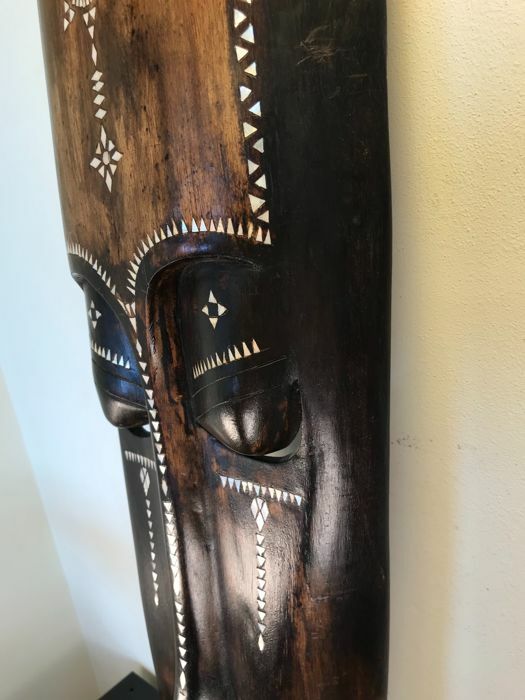 Carved from one piece of wood. 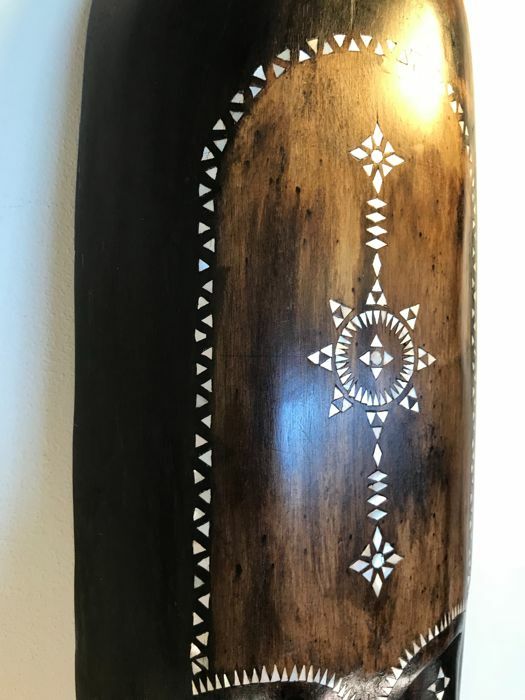 Beautifully finished. 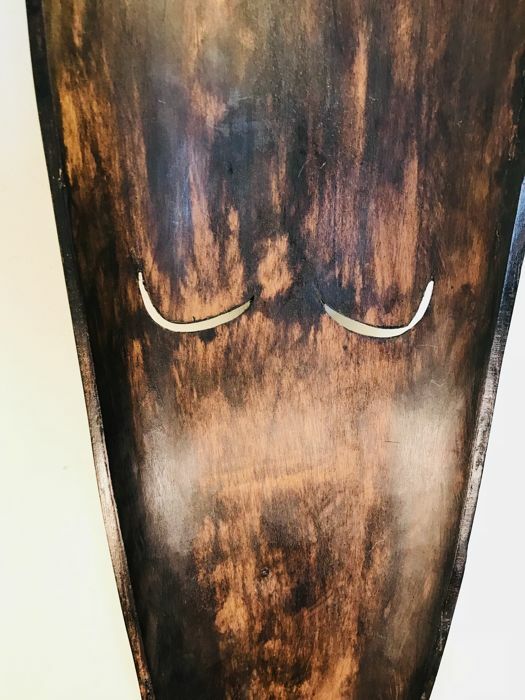 It is in a good condition and has a gorgeous wood texture. 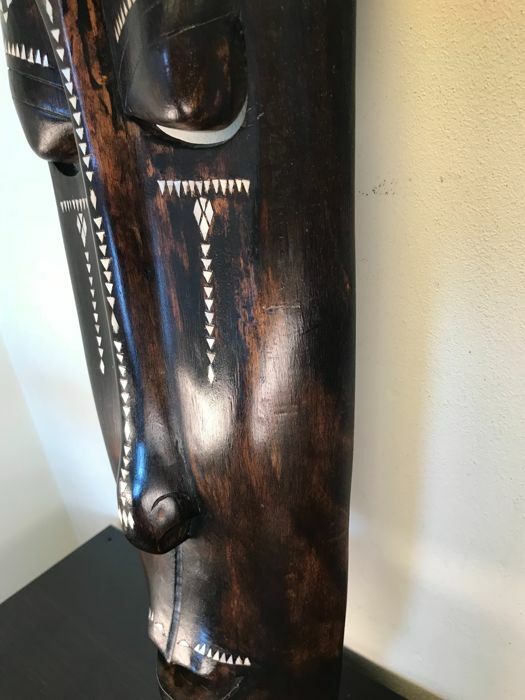 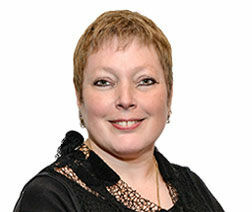 The photos are an addition to the description of the lot. 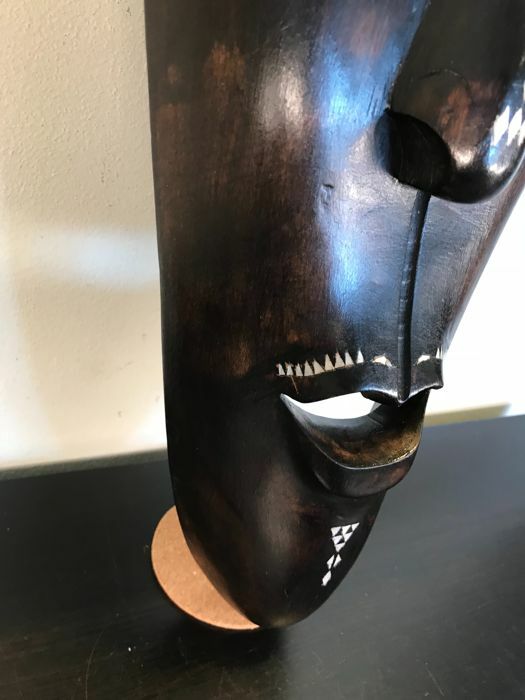 The mask will be well-packaged for you and shipped with track and trace. 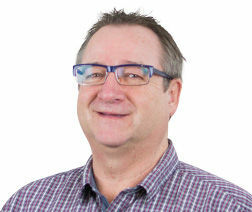 Besser als erwartet, gute Nachversorgung und Information an allen benötigten Stellen.